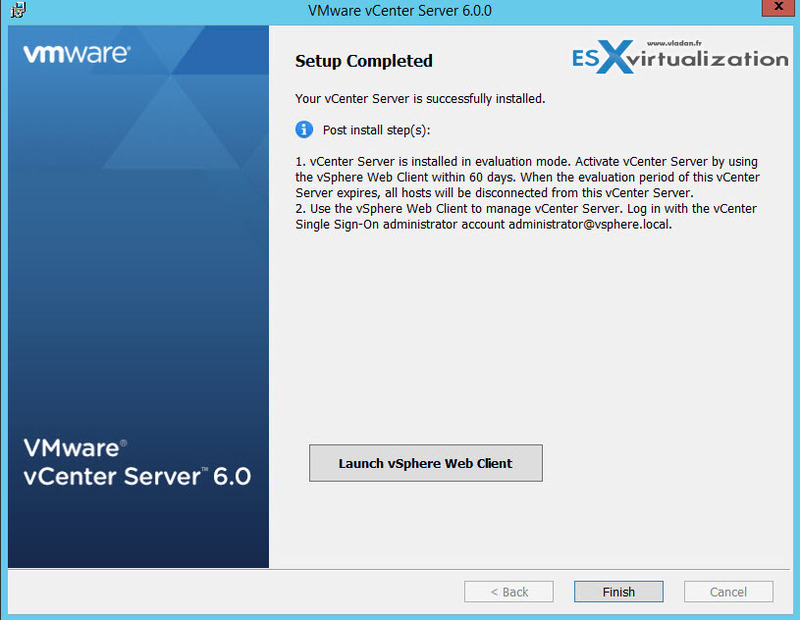 VMware vSphere 6.0 has brought simplified deployment model where the dependency on Microsoft SQL server is reduced by using the built-in vPostgre SQL provided by VMware. Supported databases for the windows installation are SQL 2008 R2, 2012 and 2014, Oracle 11g and 12c as well as the option to use an embedded vPostgres database. vPostgres on windows is limited to 20 hosts and 200 virtual machines. 1. Make sure that you using static IP for your VM and you create forward and reverse DNS records on your DNS server. Also make sure that the machine is part of Windows domain. 3. During the installation process you might get a prompt asking to give the administrator’s account the right to Log On as a service. 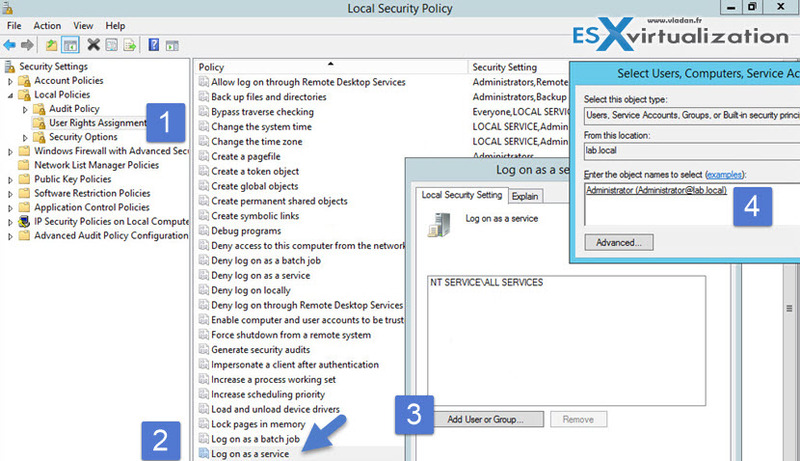 Click Start, point to Control Panel, point to Administrative Tools, and then double-click Local Security Policy. In the console tree, double-click Local Policies, and then click User Rights Assignment. Click Add User or Group, and then add the appropriate account to the list of accounts that possess the Log on as a service right. SQL server native client is necessary to create the sytem DSN. If you use the default windows “SQL server” option, it won’t let you go forward….. 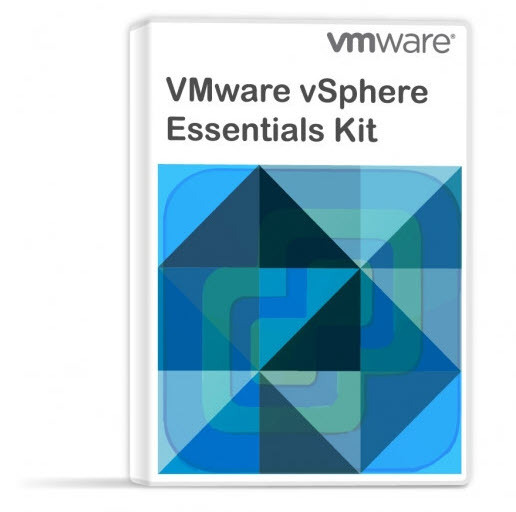 If you like this post you might want to check the vSphere 6.0 page where you can find other details and how-to articles for vSphere 6.0. I found to make a full unattened for vsphere 6 but when i create a Json file with the GUI it work and install great, but when i used the json created it found an error. to make a full unattened i make my DSN with the account sa mixed mode because when i lanched the install vsphere 6 don’t find my database and with the GUI it works. I Think i don’t find in the json the parameter “vc.svcuser” : “DOMAIN\\Administrateur”, “vc.svcuserpassword” : “[email protected]!”, but the parameter exist. Finally i used the mixed mode and it works great. Do you have an idea to automate the fact that the Account must open a session as a service ? Why do you only have half a guide? For example, you need to create and populate a database BEFORE you can connect to a system DNS. Hi, it’s precised in the sentence just BEFORE the video…. “that the SQL db gets created on the SQL server before the start of the installation. Usually there aren’t any problems with that”…. I knew that I should have detailed that as well -:). Yeah, right click > create Db, through SQL management? 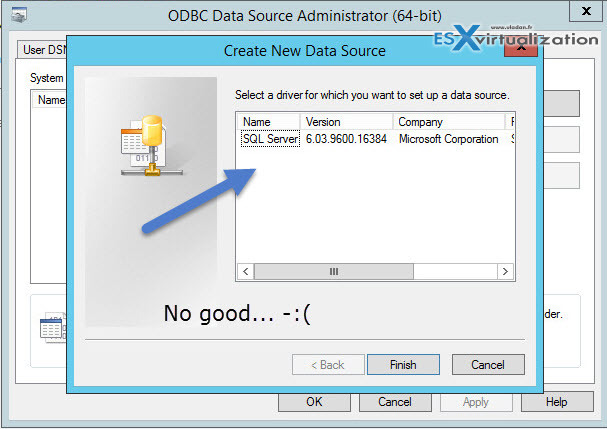 Instated of SQL server can I use the MS SQL Express 2012 as a external database? and possible to migrate the Oracle DB to SQL Express? No, I don’t think that SQL Express can be used as an External DB… -:). The 6.0 uses vPostgreSQL. Thanks for Kind reply Vladan and sorry for the late reply. Finally we desired to go the vCSA but my concern is, we have Horizon View and vCloud director. If we use vCSA embedded database, is possible to create database for view composer and vCloud director? Yes. Each of those 2 products can have its own (external) DB. I backed up my Vcenter 5.5 db and then, after vcenter 6.0 installation, i restored backup db to new sql server enterprise 2008 r2, but after that Vcenter services does not starts.